Images and videos convey information in a much more relatable, personal and succinct way than mere texts. 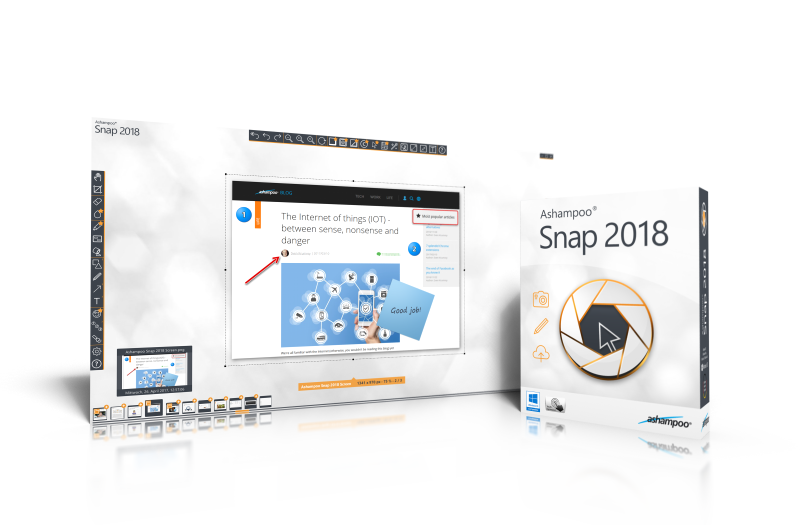 Use Ashampoo Snap to create images and videos that tell your story the way you meant it to be told! Save yourself lengthy explanations and create intuitive, meaningful images in a just a few clicks. 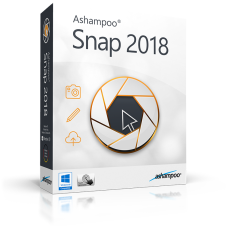 Ashampoo Snap 2018 reliably documents your screen contents. It offers quick solutions to capture your screen, add comments or extract content from the Internet. Smart editing tools and a extensive set of ready-made graphics and effects enable users to describe and explain complex issues quickly and easily. Various options to comment or annotate allow for a smooth and comfortable work flow. 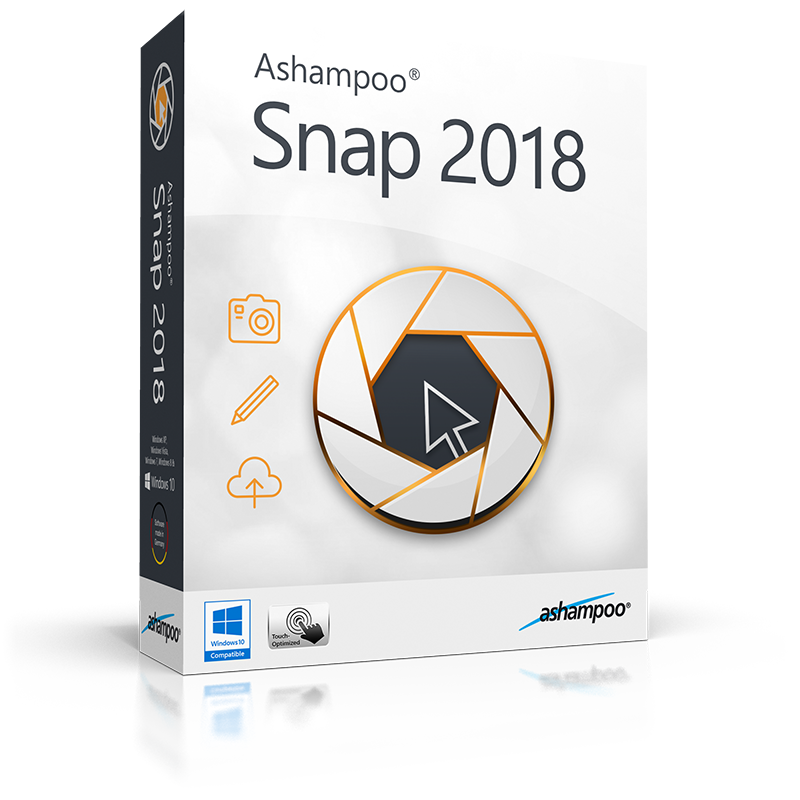 Ashampoo Snap 2018 supports resolutions up to 4K and can even take screenshots of 3D fullscreen games without quality loss. The program runs quietly in the background until activated either through keyboard shortcuts or the auto-hiding floating toolbar. Screenshots from the Internet can include their origins either as text overlays or embedded in their metadata to support additional filtering and sorting options. Thanks to multi-core support, comprehensive operations like fullscreen video recording or rendering collages run at maximum speed. Multi-display environments with varying resolutions are also fully supported. Results can either be saved locally or uploaded into the cloud.